loan to the National Gallery of Scotland. still in the original frame. acting Museum Director David Bomford. works by Turner will be judged." Museum and to Los Angeles." Turner's studio at his death in 1851. 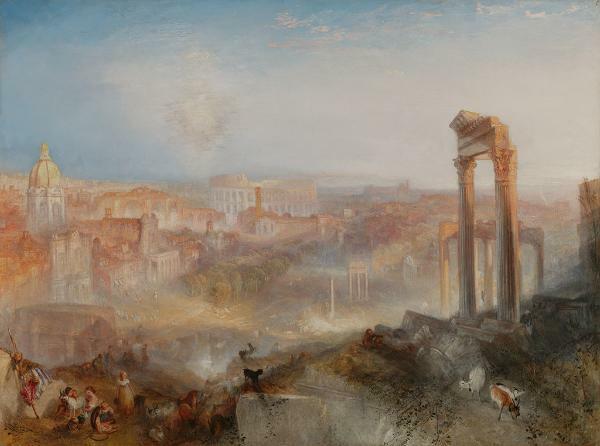 Turner's Modern Rome--Campo Vaccino, with the Colosseum on the background and the ruins of the Forum to the right.